The Quill Corporation is an e-tailer, located in Chicago, that supports the everyday supply needs of businesses. Since 1956, it has provided office supplies, furniture, cleaning and janitorial equipment, and snacks and beverages. Quill is one of the fastest growing subsidiaries of Staples, having gained $800 million in revenue between 1998 and 2009. 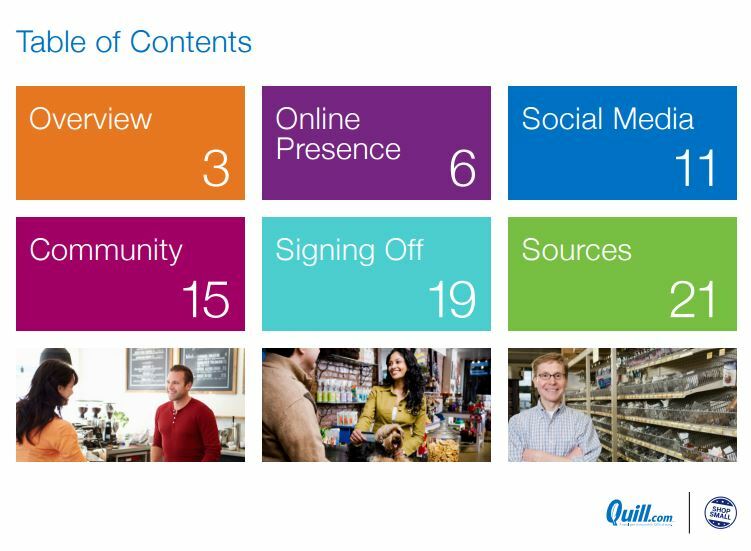 Quill’s main audience is the small business owner and retailer, and they wanted to increase their exposure to this audience through an online Small Business Saturday initiative. 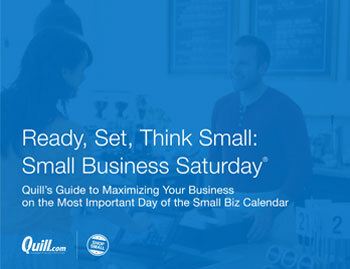 In November 2014, Seer launched Quill into the national Small Business Saturday conversation by creating the “Ready, Set, Think Small” campaign. Quill had been working with Seer for over a year before they came to us with this request, in which time we had built and promoted interactive digital assets, content initiatives, and overall SEO engagement for the client. This campaign took our relationship a step further. 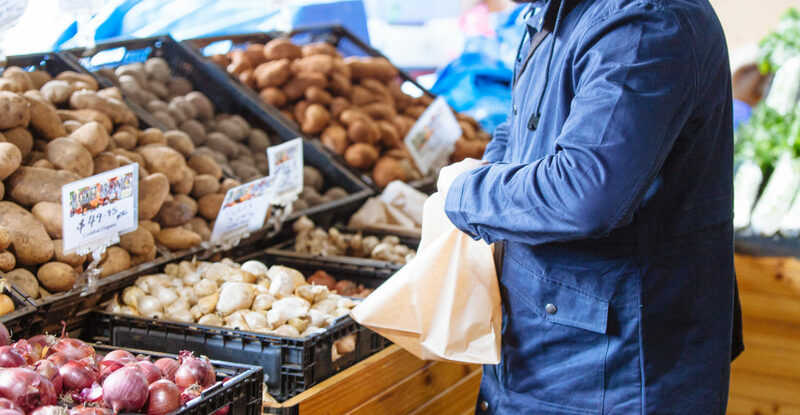 Ready, Set, Think Small is a comprehensive guide for entrepreneurs to take full advantage of Small Business Saturday, and which resides on Quill’s blog in an ebook format. It provides advice for small businesses to strengthen their presence through ecommerce, social media, and community events. The final product was a combination of everything that makes Seer unique as a search and digital marketing company. With over 20 pages and 4,000 words, the ebook was the fruition of a month’s work that was the collaborative effort of our writers, designers, content strategists, and paid search team. During the course of the campaign, Seer reached out to small business bloggers and influencers. The guide’s value was confirmed by positive responses from the online small business community. Through the process of outreach, we made contact with the official Small Business Saturday Spokesperson of 2014, who contributed insights that were used in the guide. Social media conversations among influencers picked up, and “Ready, Set, Think Small” ended up being referenced in prominent business sites such as Inc.com. The campaign was also a successful demonstration of Seer’s Content Acceleration initiative, which promotes clients’ assets to a large audience across networks such as Twitter, Facebook, Linkedin, and Taboola.